By Peter Rabley, International Land Systems Inc.
Clerks can easily view and share parcel map and other legal documents relating to the property. 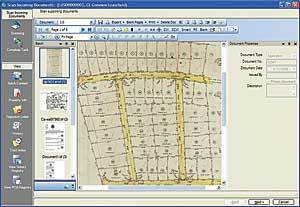 Land Registry System uses new cadastral mapping solution to minimize time required for applications. Educational campaign was begun to increase awareness of the benefits of registering real estate holdings. Egypt has embarked on an ambitious plan to stimulate financial markets and create its first-ever mortgage industry by freeing up the billions of dollars in capital that are trapped in unregistered real estate properties. The centerpiece of this progressive economic program is the development of a parcel-based deeds registration system in Cairo that will make it easier for the lower and middle classes to have their landownership rights recorded by the government. Both paper and digital maps, construction plans, local taxing and planning data, and more populate the geospatial database. Landownership registration may seem an unlikely solution for jump-starting economic activity, but it is in fact a critical starting point for emerging urban markets around the world. Described in his groundbreaking book, The Mystery of Capital, Peruvian economist Hernando Desoto observed that low-income people everywhere in the world often have only one assetthe property they occupy. This property represents an untapped resource in many urban areas because these landholders usually have no officially recognized right to own or occupy the property. In addition, many formal systems do not recognize informal or customary forms of land tenure. Without a registered deed, title, or lease, the owner cannot use the land as collateral and improve the property or start a business. For an emerging market, this untitled land is a major impediment to economic development. Recent studies indicate that the benefits of formally recognized landownership and occupancy extend beyond the economics of loans and mortgages. People with land titles or deeds or even paralegal titles enjoy a greater sense of security that they won't be evicted or that their home and land won't be taken away. This gives them the confidence to enhance the property, send their children to school, and demand basic services, as well as legal recognition from the government. While the benefits of land registration are many, the disincentives are often considerable. In many parts of the world, poor people don't trust land registries or formal government out of fear that those systems will only result in taxation. Another common drawback is the formal registration process itself, which is often complex and expensive for anyone but a wealthy landowner to attempt to navigate. 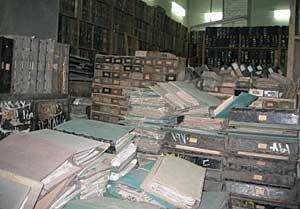 The registry contains paper documents dating back to 1900. In Cairo, only 5 percent of the roughly three million real estate properties are registered in the existing paper-based deeds system. The land registration process, which lacks computerized automation, takes an average of 193 days to complete, involves many complex steps, and has high fees. The typical landowner doesn't view the process as worth the time and money involved. The Egyptian government recognizes the long-term economic benefit of bringing the other 95 percent of Cairo's private properties into the formal system. With encouragement from a rising middle class that increasingly wants to take advantage of mortgages, Egypt is streamlining the process and replacing the manual registry index in Cairo with a parcel-based deeds registration system that is linked to a digital cadastre using GIS technology. In November 2004, the U.S. Agency for International Development (USAID) provided the funds to initiate the Egypt Financial Services (EFS) program, of which one aspect (Task 2) was identified as modernizing the property registry in Cairo. Egyptian government counterparts are the Real Estate Publicity Department (REPD) of the Ministry of Justice and the Egyptian Survey Authority (ESA). International Land Systems Inc. (ILS), an Esri Business Partner in Silver Spring, Maryland, and Esri Northeast Africa (ENEA) of Cairo are the two contractors responsible for Task 2, using state-of-the-art automated software and GIS. ILS is implementing the Land Registry System (LRS), its off-the-shelf solution for real property title registration. LRS automates the entire property registration workflow and configures for local Egyptian laws, language, and documents. LRS in Egypt will use IBM's DB2 database management system and the LRS J2E-based content management system. "From the outset, Egypt understood the value of linking the deeds registry with a digital cadastral map," says Noel Taylor, ILS vice president of International Programs and resident leader of Task 2. "This design establishes the framework so that government offices involved in land management, such as real estate registration, taxation, planning, and zoning, can tie in to the same GIS and share information at the level of individual parcels. One district in Cairo, comprising about 100,000 real estate properties, was chosen for the initial implementation." The important task of developing the ArcGIS Server technology-based cadastral mapping solution (CDMS) is being handled by ENEA. The parcel index map is the base layer of the CDMS and is populated with the location and geometry of each parcel and building footprint, as well as a unique property identification number. Fatma Abdel Kader, ESA general director of the Cadastral Mapping Department, notes that now that the two systems are integrated digitally, "it will allow the electronic exchange of information between ESA and REPD." 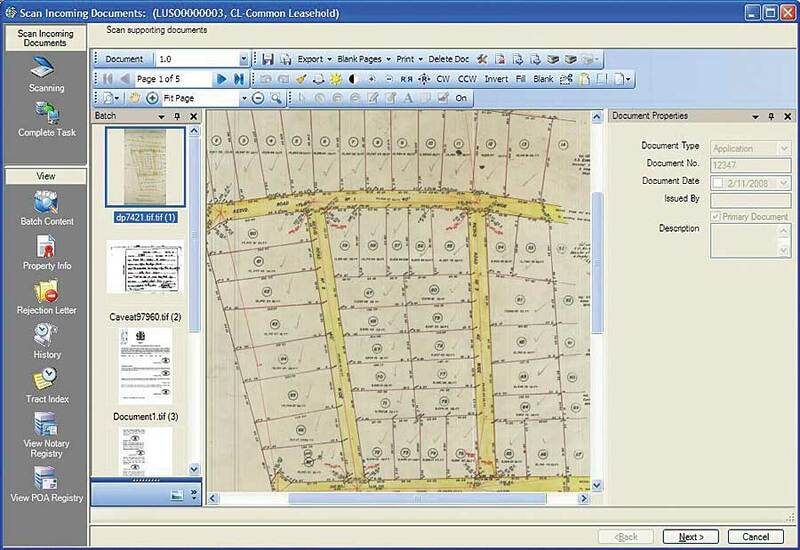 The existing registry contains paper documents dating back to 1900, and no unified property cadastre has ever been created, which meant an enormous volume of map data had to be obtained either in the field or from paper records and converted using LRS. "The critical aspect of this phase was to create the unique parcel ID to link the data in the two databases," says Taylor. Populating the geospatial database in the CDMS was a complicated endeavor due to the numerous types of maps available. 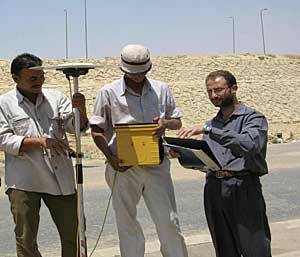 ESA provided both paper and digital maps, which were either scanned or imported into the cadastral layer. From local taxing and planning offices, maps describing parcel geometries and locations were gathered. Building footprints were digitized from aerial photographs or scanned from construction plans supplied by real estate developers. "In this first district, there were many properties that had never been mapped, and we had to fill in those gaps with GPS mapping crews," says Taylor. "Field teams, all hired locally, were also used to verify the relational accuracy between parcels." REPD expects to open its new District Registry Office in Cairo in 2008. Extensive training in land registration practices and information technology is now under way for the staffers, many of whom have little experience with automated systems. REPD and ESA offices will be linked by high-speed telecommunications lines. Ali Abdel Salem, former general secretary of REPD and now a consultant on the project, says that LRS and CDMS will "minimize the time required to inspect applications, assist applicants in dealing with the registry, and help them acquire the required documents to achieve a secure and stable tenure. "Working within the system, a clerk may use the LRS ArcView extension to access the CDMS and view the parcel map and other legal documents." "This extension will also be available to the public on a computer in the district office," says Taylor. "Our analysis of business processes revealed that a major bottleneck occurred because landowners didn't have easy access to the parcel descriptions that define their property. They will soon be able to obtain this information themselves by using one of the REPD terminals. "When the systems are fully operating and the staff are comfortable in their new activities, the process required to record most real estate transactions will take only about 30 days and require a flat fee paid by the applicant. Once the registration has been approved and paid, the official deed will be printed directly from the system and handed to the landowner." In preparation for the new Cairo registry, project participants are embarking on an educational campaign aimed at making the public aware of the personal and national benefits that will be derived from registering real estate holdings with the government. Peter Rabley is the president of International Land Systems Inc. with more than 20 years of experience designing and implementing land information systems around the world. For more information, contact Fatma Abdel Kader, general director, Cadastral Mapping Department, Egyptian Survey Authority (e-mail: fatmaabdelkader@hotmail.com), or Frank Pichel, International Land Systems Inc. (tel. : 301-587-7531, fax: 301-587-2796, e-mail: fpichel@landsystems.com).